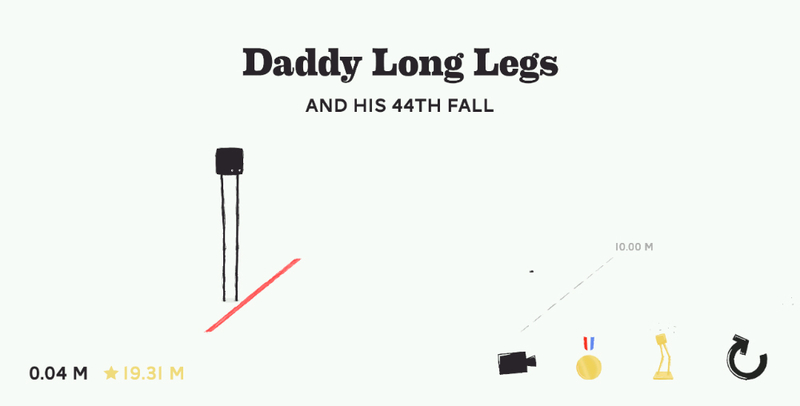 A game called Daddy Long Legs hit Google Play recently, escaping my attention thanks to all of the craziness which has taken place thanks to Google and new Nexus devices. Regardless, we can talk about it now, and the game is very cool. In the game, which is one of the more straightforward titles you will ever play in your life, you are a spider who is simply trying to walk as far as he can without toppling over. Of course, your legs are super long, so moving them perfectly in sync for perfect forward steps is somewhat of a chore. However, a chore does not properly describe the difficulty of Daddy Long Legs. The game has a very addictive quality to it, as each time you think you have mastered the perfect stride, you fall over and have to start all over. There are plenty of fun achievements and leaderboards in the game, so while the gameplay may seem boring, it is far from. Daddy Long Legs is free to download, but there is a single IAP in the game to remove the banner ad featured on the top of the screen while playing.